It's the perfect headquarters for your Yellowstone adventure. 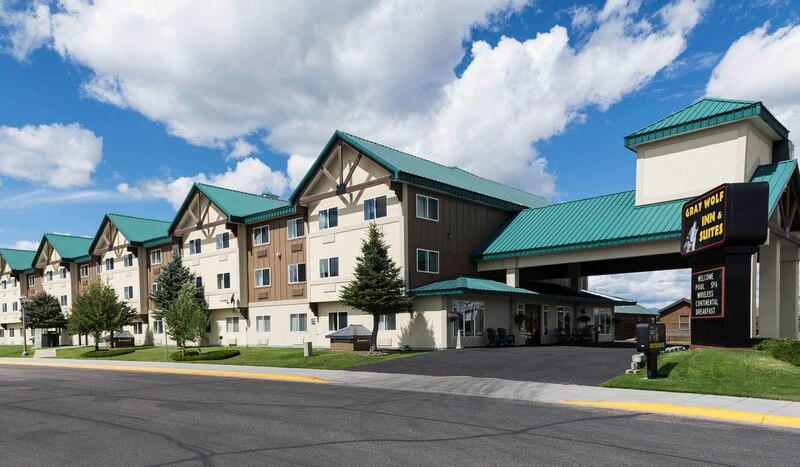 Just two blocks from Yellowstone's West Entrance, the Gray Wolf Inn and Suites provides convenient lodging near Yellowstone National Park. It has become a favorite for travelers from around the world thanks to its affordability, accessibility to the outdoors, and spacious rooms. The product of a $1.4 million renovation and the proud owner of a AAA® Three-Diamond rating, Gray Wolf Inn and Suites features everything from large, family-size suites to smaller accommodations still roomy enough for lounging around. Gray Wolf Inn and Suites is great for Yellowstone adventures of all kinds.